.-“Premier Prix” with the highest honours – Conservatoire National Supérieur de Musique et de Danse de Paris at eighteen in Jacques Rouvier’s class. .-Graduated from ESSEC (Ecole Supérieure des Sciences Economiques et Commerciales) with an MBA in Cergy, France. .-Trained as an actress at the Cours Florent and at the Actors Studio en Paris. – a role in the television series Profilage on TF1 (2013). Lydie (Waï) composed latin-jazz songs, released in 2009 an album, Harmonie (highlighted in the magazine Jazz Hot), featuring a North-American, Argentinian and Brazilian rhythm section, and performed concerts as a singer (Le Duc des Lombards, Le Baiser Salé…). On February 11th, 2016, for the first time Lydie Solomon played in concert (“Chopin: the conquest of Europe”, in Paris) on a piano from Frédéric Chopin’s era: a Pleyel “Petit Patron” piano from 1839, restored by Amerigo Olivier Fadini. 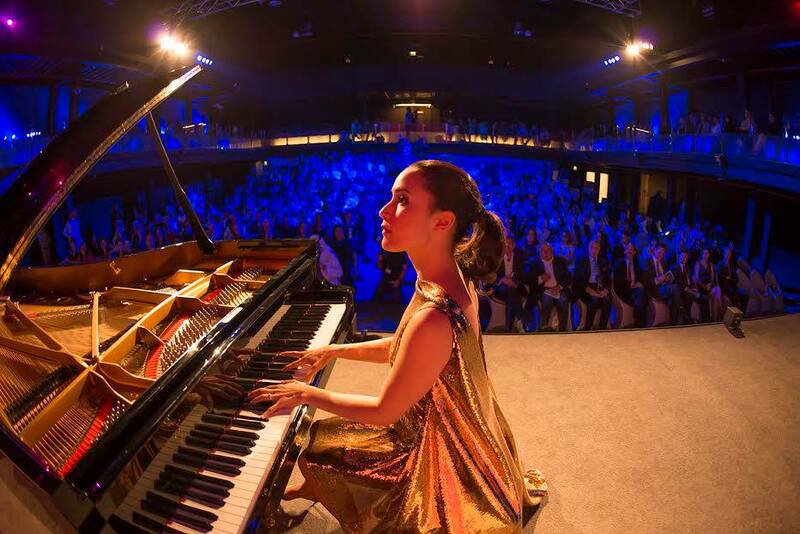 A piano child prodigy (she played Ode to Joy by Beethoven by ear at the age of two), Lydie Solomon fascinates the media with her innovative career path: in France (Le Figaro, Le Parisien, France 2, RFI, KTO TV…) but also abroad.